Good morning everybody! Forgive my grammar and spelling in this post. I am so excited that I can hardly stand it. I bought this guitar off of Reverb. It was listed as a 1995. I put in the serial here on the site and was told its a 1988. The case is in damn good shape. Still has some of that blue tape on the latches! Honestly, it's in better shape than the cases of my other Morse guitars! The neck is straight as an arrow with no cracks, warps or twists. It had a large scratch on the headstock on top but otherwise perfect. Frets are perfect. No wear. It came with the unfiled warranty papers, switch diagram, wrench ANNNNNND the keys to the case. Has damn near a baseball bat for neck compared to the rest of the ones I have. I snapped a few quick pics and I will say upfront that I can't use a camera for poop. Last edited by vuduhwy; 02-15-2018 at 07:51 AM. Nice!!! I saw that serial # when you posted it and smiled- that's when you could date the guitars by the first two digits. (I have a '91). What a great score. Sounds like it's in great company. Congrats on the best guitar ever made! It's a time capsule! Nice score! Last edited by vuduhwy; 02-13-2018 at 09:02 PM. They are such awesome guitars. That's definitely an early one! It's in good company! I guess it's found it's forever home. Gorgeous.... especially for such vintage! This is awesome! Congrats to this case queen! 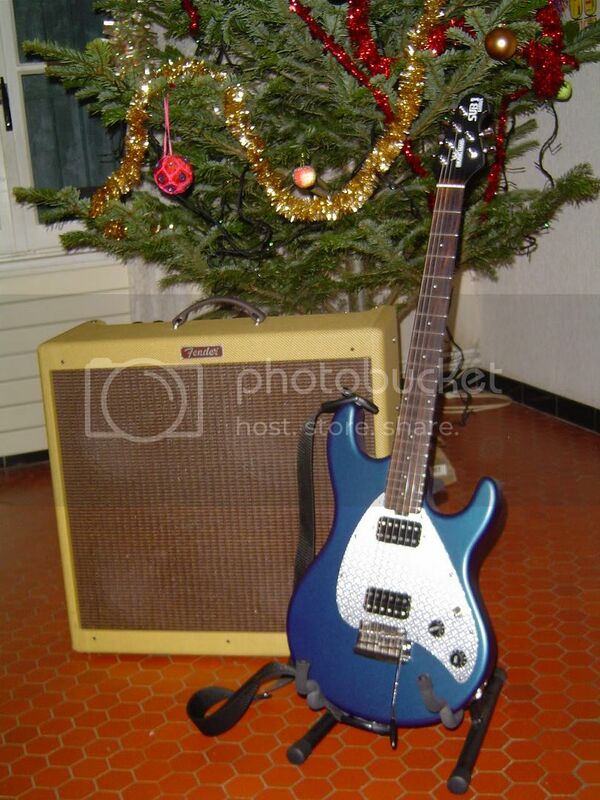 Very nice to see in your groupshot how the blueburst changed over the years. I guess the right one is the 2001? It has a quite dark blueburst whereas the others are kind of lighter. Beautiful! If you see Kevin (kestrou) lurking near your house, do not hesitate : shoot ! I guess the right one is the 2001? It has a quite dark blueburst whereas the others are kind of lighter. My Morse is a 2001 and it is not really dark. I believe the blueburst became darker later. HI! Ya, the dates I gave are form Left to Right in that pic. I should have mentioned that. Yes the 2001 is the dark one with the matching headstock. Second from Right is the 98 and I just love the brighter blueburst with almost no wood grain showing. The 94 is almost the same. I MUCH prefer the feel and sound of the 88. I just received it yesterday and I played it all day and into the evening. I woke up 2 times int the middle of the night and played it some more. I really like all 4 of them and it's amazing how different they all are. The 2001 is the lightest and brightest sounding so it's gonna be the one that I am doing the 3 single coil mod to that I mentioned in a previous thread. Hahahaha! I've not met Kevin but I'd welcome him in if he did show up. I'd talk his ears off and he'd probably run away screaming! As for the blueburst becoming darker, I dunno. I had another SM Standard from 2007 that I just didn't bond with and it was really bright although it was very see-thru. It's pretty fun checking them out. I saw a used on the other day in a big chain store near my home. It was only a couple of years old and it was black. 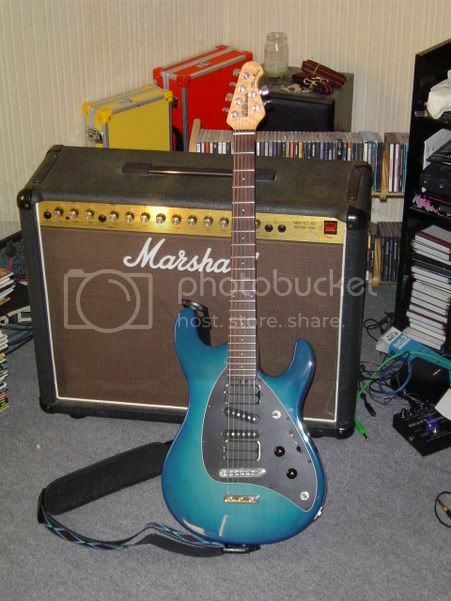 I kinda liked it but it was beat all to heck and the frets were really worn as well as the price being WAY too high. Maybe someday I will have one in another colour but it just worked out that all of these were blue. Apparently my tastes lean toward the earlier versions of this guitar and, as we know, the finish option was kinda limited during those times! P.S. where can I see a pic of your 2001? Having had many over the years, I too prefer the older Bluebursts. Might I suggest replacing the tunes with the newer locking ones?